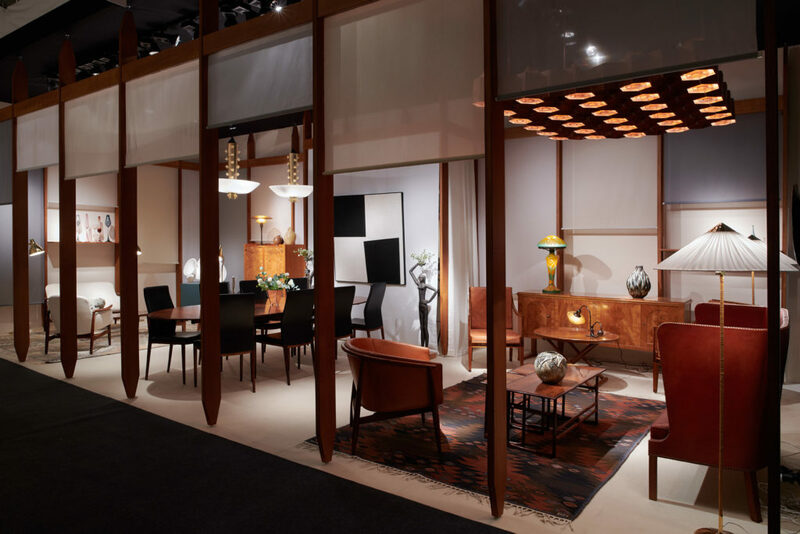 We have just added a virtual tour of our booth, which you can see here. 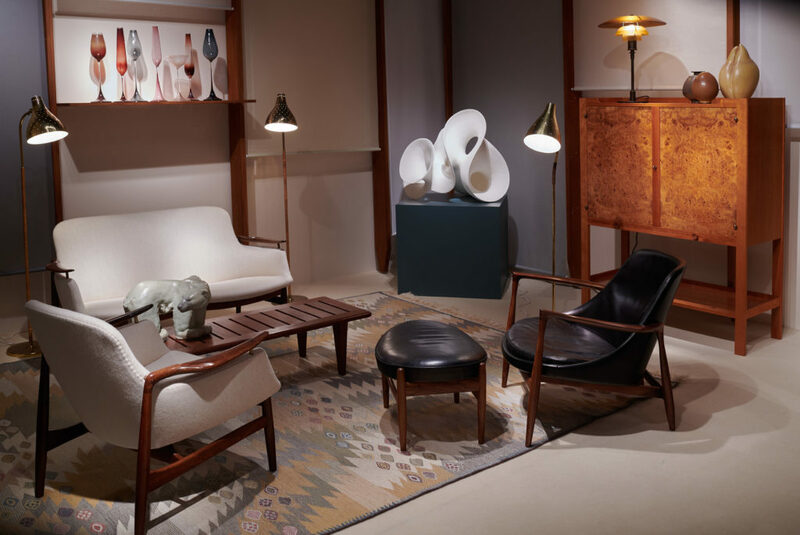 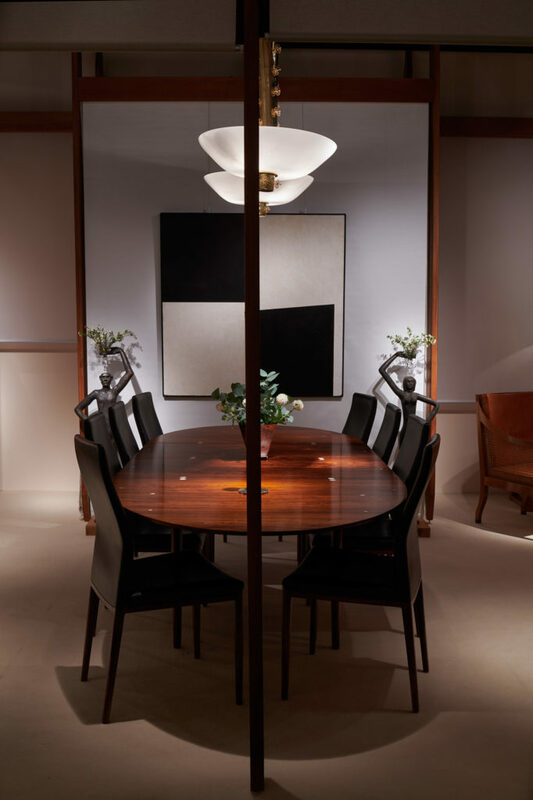 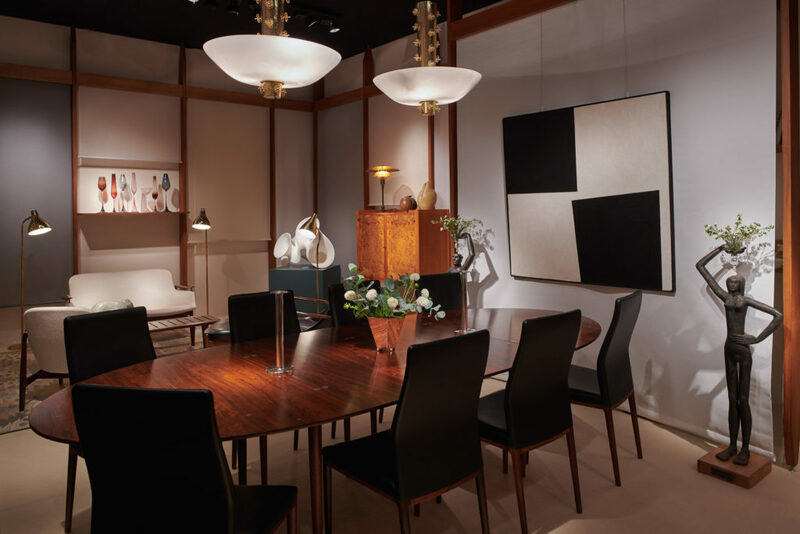 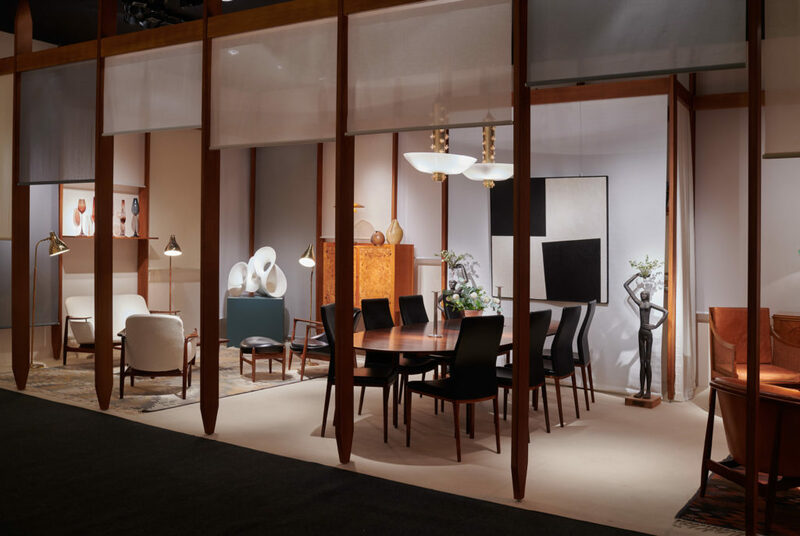 For our eighth participation to the PAD fair in London, we are presenting a variety of furniture pieces by the celebrated Nordic designers Josef Frank, Paavo Tynell, Kaare Klint, Axel Einar Hjorth, Ib Kofod-Larsen, Finn Juhl, and Frits Henningsen, among others. 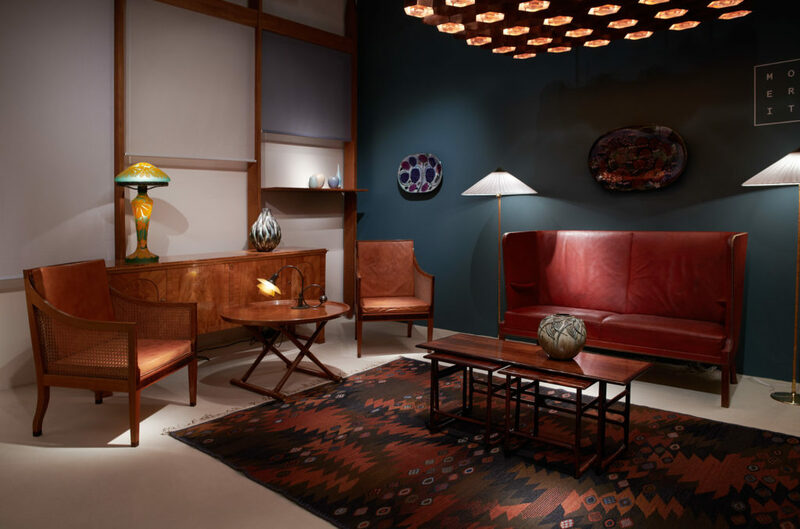 We are especially proud to present pieces by one of our favorite Danish designers, Finn Juhl: the famous FJ53 sofa and armchair, as well as the rare Judas table, made of Brazilian rosewood and bearing 30 exquisite sterling silver inlays. 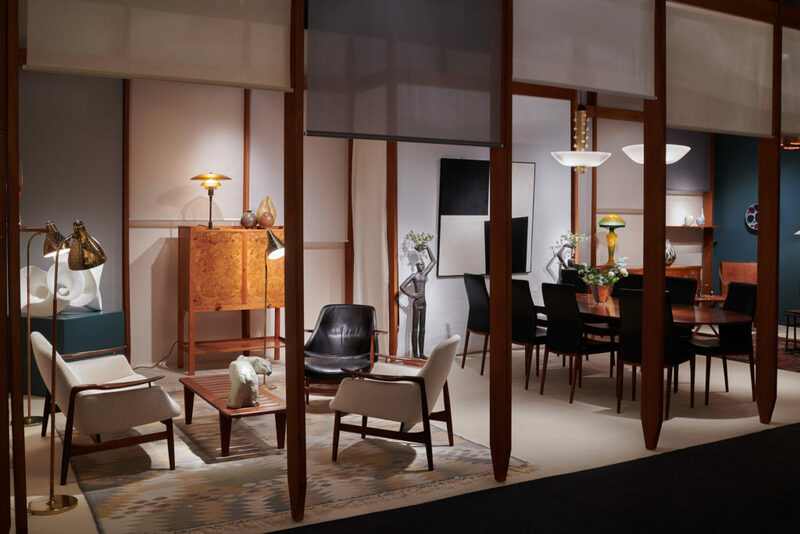 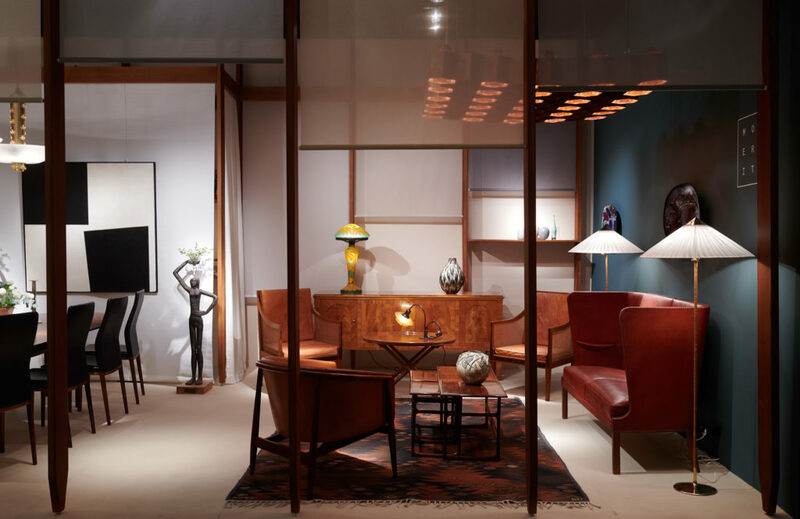 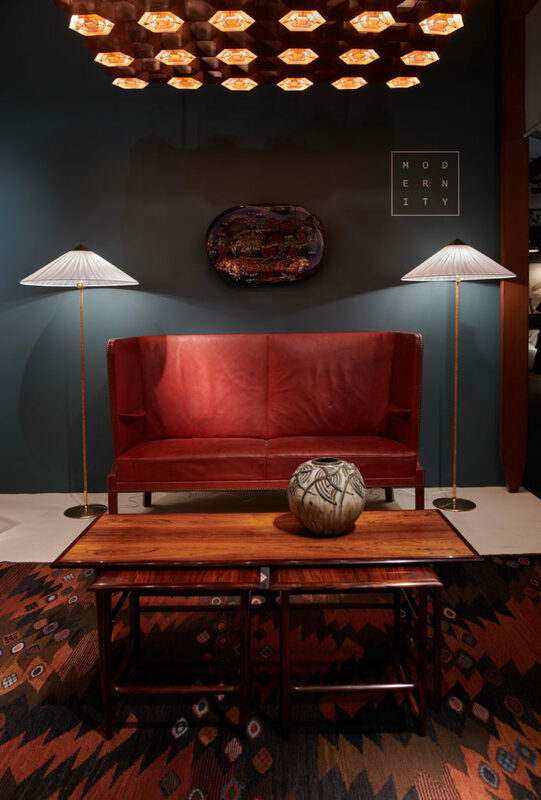 The right of the booth is occupied by the highly sought-after Frits Henningsen high-back sofa in a shimmering red/brown original leather upholstery. 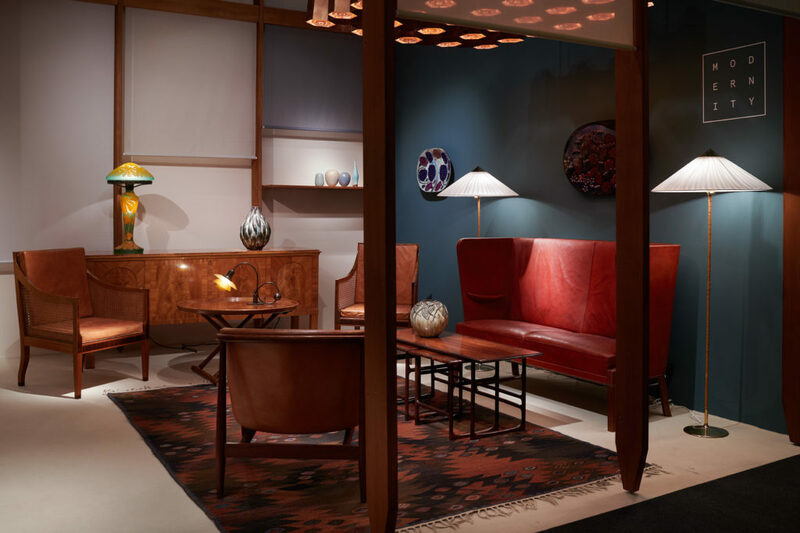 An unusual sideboard signed by Axel-Einar Hjorth and a pair of rare 'bergères' designed in 1931 by master cabinetmaker Kaare Klint complete this side of the booth. 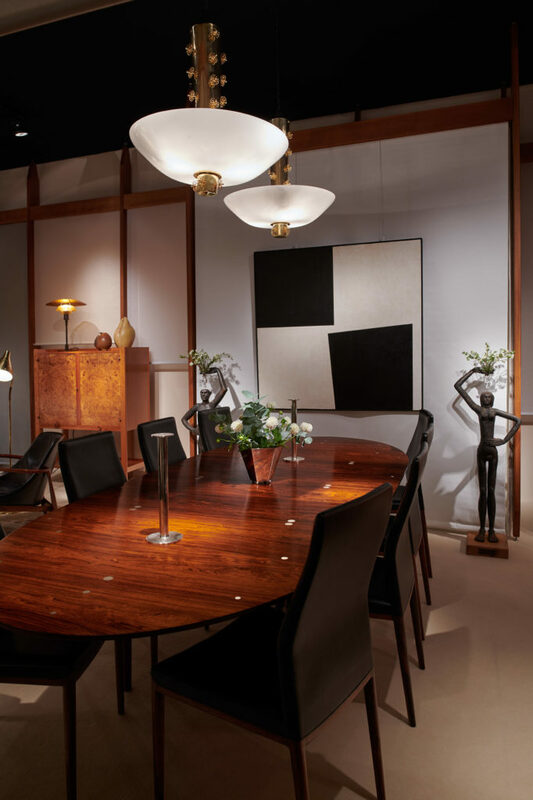 Over the years, Modernity has come to specialize on rare and remarkable lamps. 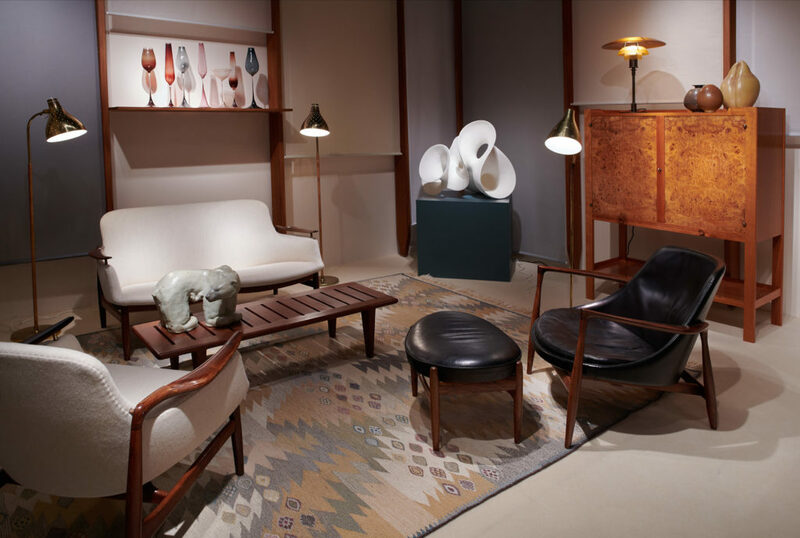 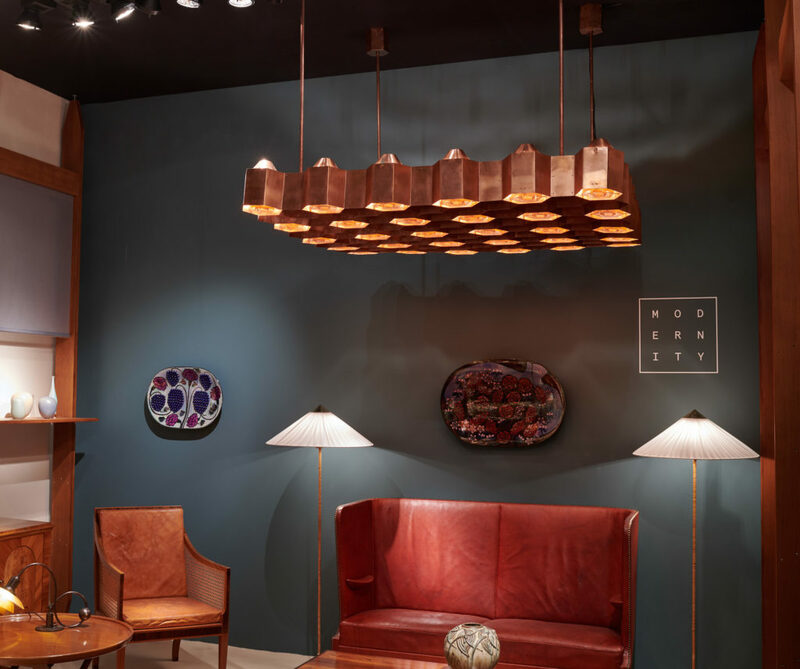 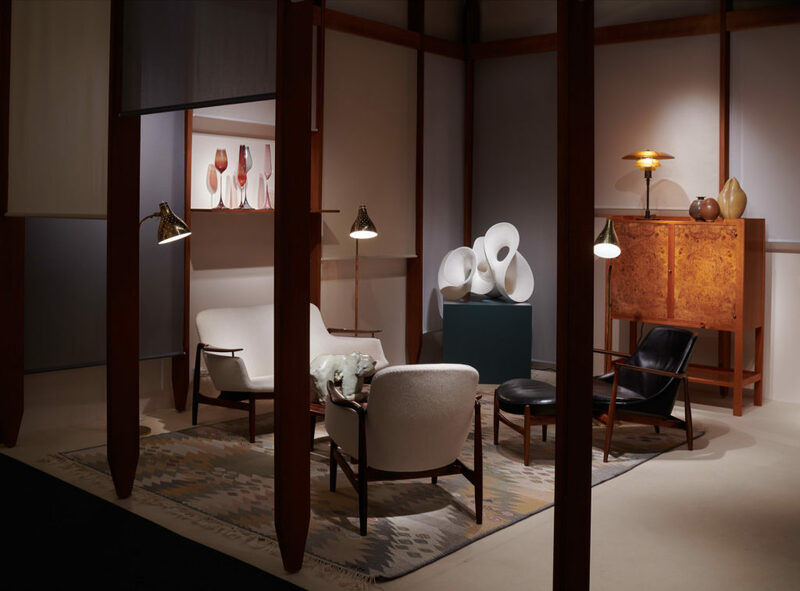 This year, our stand is partly lit with Finnish design: a unique ceiling light made of copper and designed by Ilmari Tapiovaara, as well as floor and ceiling lamps signed by Paavo Tynell. 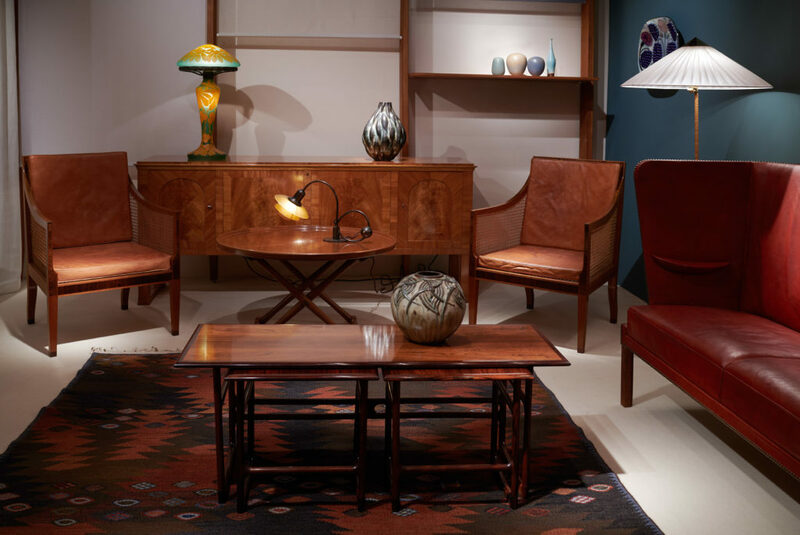 Three early examples of Poul Henningsen lamps complete the collection, namely the rare Piano lamp with original amber glass shades.